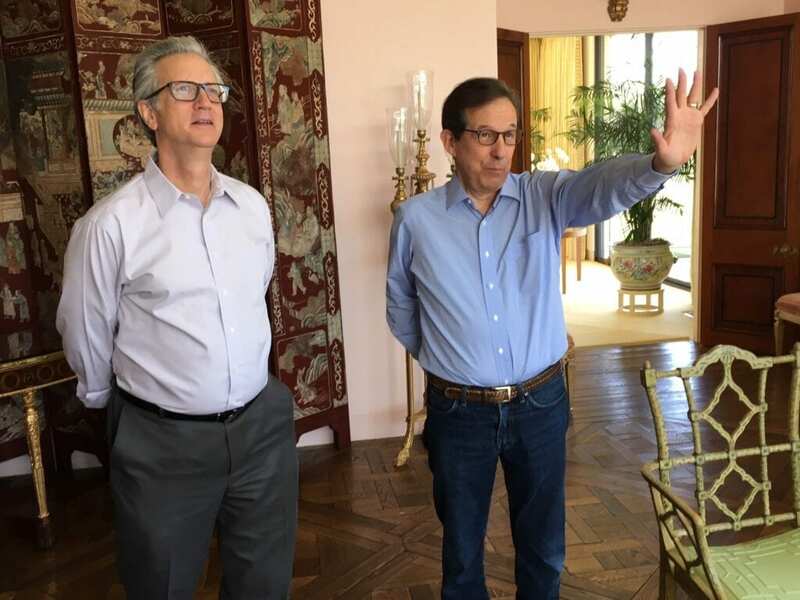 In the 1980s, when he worked as chief White House correspondent for NBC News, Chris Wallace remembers spending New Year’s Eve “watching from the other side of a huge hedge” as President Ronald and Nancy Reagan arrived at Sunnylands year after year to spend the holiday with the Annenbergs. “No reporter ever got into the house,” he said flatly. 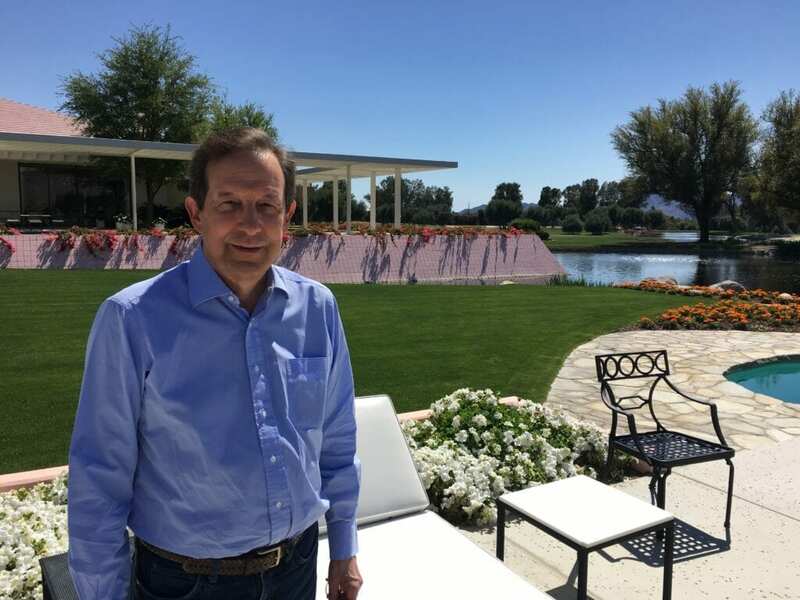 But all that changed for Wallace, now the host of Fox News Sunday, when he toured the Annenberg estate March 28 before speaking later that evening at Desert Town Hall in Indian Wells. Throughout the tour, the reactions of the star broadcaster alternated between the amazement of a first-time visitor and the quips of a veteran newsman. Just before he stepped into the house, however, Wallace stopped to read the plaque commemorating the 1990 state dinner President George H. W. Bush hosted at Sunnylands for Prime Minister Toshiki Kaifu of Japan. “And he didn’t throw up on him at that dinner,” Wallace said chuckling, a reference to the time the former president vomited in the lap of Kaifu’s successor at a Tokyo banquet in 1992. And the commentary went on from there. “I’ll take that. You can forget the speaker’s fee,” Wallace told Desert Town Hall board member Brian Harnik, who had accompanied him on the tour, as he stared at the Picasso drawing, El Picador. “That is so Reagan!” Wallace exclaimed. After that, it was a quick trip around the golf course and a look at the cottage campus before Wallace’s tour came to an end. He let it be known he wouldn’t mind coming back, perhaps as a retreat guest. “My wife would love it here,” he said.